Ultrasonic diffuser is an electronic device which breaks up the mixture of water & essential oil into infinite micro-particles. It then diffuses an aromatic fine mist into the air to activate the therapeutic benefits for the users. Many of these devices are equipped with timer settings as well as the option to experience its soothing light system at night. 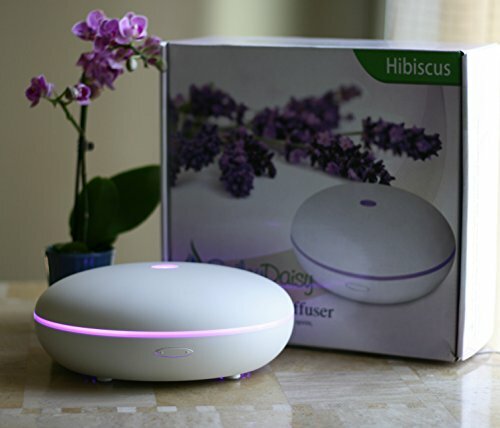 Although there are many different ways of diffusing the essential oils in the room, using electric diffuser is the best popular one which is relatively easier and effective for relieving the asthma cough and allergy symptoms. These aroma oil diffusers for asthma makes use of therapeutic grade essential oils to provide various health benefits, in addition to relieving the respiratory issues. And for this reason these devices are now getting popular worldwide among customers who are suffering from various health conditions. 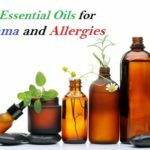 Essential Oil Diffuser: Good Or Bad For Asthma? Essential oils for breathing difficulties and respiratory congestion are used since decades. This is due to the fact that it helps in reducing the inflammation of the airways caused by asthma and allergies. Although oil diffusers are found to be relaxing and soothing for most of the asthmatics, there have been instances when patients suffered from aggravated asthma symptoms when they used these diffusers in their room. This is attributed to the fact that some of the oils, when diffused, releases volatile organic compounds (VOCs) along with terpenes, toluene, and benzene. Most of these compounds are responsible for breathing difficulties and bronchial hyperresponsiveness in patients (with or without asthma). Due to the above reasons, it is often recommended that you talk to your doctor before trying these aroma oils and oil diffusers, especially if you are suffering from severe asthma conditions. Be ensured that if you are using oil diffuser for asthmatics, you should get only the best recommended oils that are good for asthma and allergies. Although you can diffuse most of the oils in the diffuser machine, some thick liquids like patchouli and sandalwood are hard to diffuse. It may clog the machine if you put them in a diffuser that employs a nebulizer. When it comes to buying an ultrasonic diffuser for asthma, it is always a wise idea on your part to seek out the expert guidance so that you can get the right device that can serve your purpose to the greatest extent. 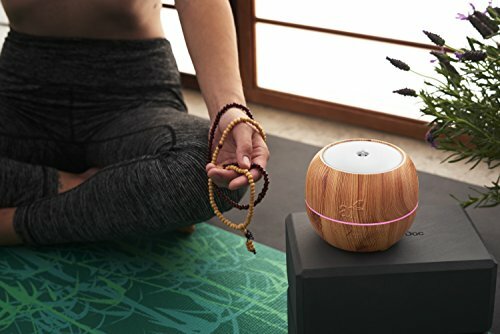 Today you can find wide variety of essential oil diffusers which are designed in a unique way to release the flavor of essential oils. You just need to be sure that you get the best one according to your asthma and allergy symptoms that can gradually let you relax as you breathe in the aroma filled air. 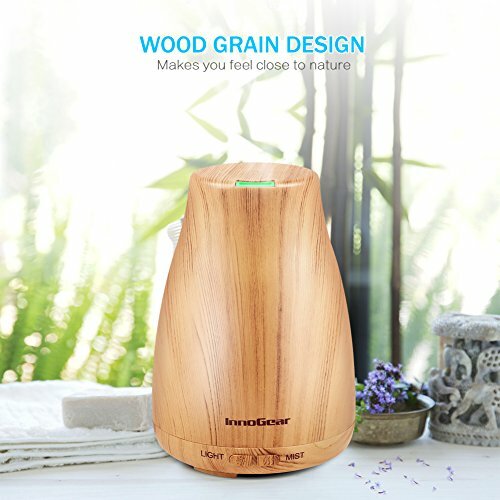 InnoGear Ultrasonic Diffuser is an awesome asthma diffuser which is easy to arrange in any corner of the room or living space. Not only it reduces the illness by boosting the immunity but it also protects you from allergies caused due to dry polluted air. It also efficiently dismisses the foul unusual smell around making the environment much pleasing. 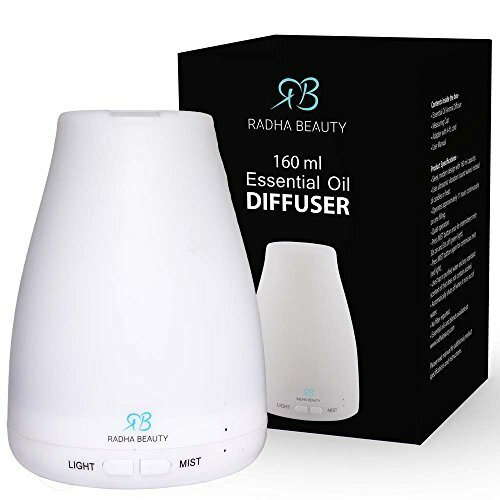 The all new Radha Beauty diffuser is an excellent model which brings in fresher air and increased moisture content in atmosphere to relieve you from all types of allergies. These are widely in demand for use in: bedroom, office, café, children’s room, etc. Also it can be carried anywhere and everywhere you travel. This diffuser doesn’t emit too much noise therefore you also get a chance to be relived of the noise that comes out while the humidifier with aroma diffuser is functioning. This unit provides the effective humidification during the dry conditions which prevents cold and flu conditions along with many other health and allergy issues. PureSpa/Pure Enrichement is one of the most reliable and trustworthy electronic brand which manufactures top quality diffusers for personal use. 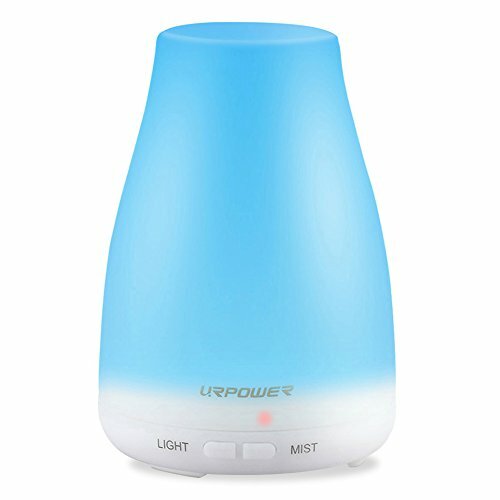 This diffuser model features whisper-like ultrasonic operation and is therefore perfect for use in a nursery, office, spa, yoga studio, or in any room of your home. It also comes with an optional color-changing LED lighting that helps to create a most relaxing ambiance around you. Additionally its soft night glow and an ionizer feature helps lift mood and relieve stress naturally. When talking of portable diffusers for asthma, URPOWER diffuser is the one that cannot be left behind. With amazing design and innovative technology, this colorful ultrasonic diffuser comes in a portable form which is easy to use anywhere you want. Smiley Daisy Essential Oil Diffuser with built in humidifier is a portable device which comes with small size to occupy less space. As it has auto changing colors in the form of LED light, it enhances the beauty of the space and presents a romantic and lively environment. Most importantly this device relives you from all sort of mental disturbance, depression and allergies giving you better sleep at night. Those who feel to enjoy pleasant atmosphere at work or at home will love to have this sort of humidifier and diffuser. Overall, with so many exciting models of aroma diffusers (and essential oils) now available online, you do not have any reason to miss a chance of not owning one for your personal use. Just order it now online and feel the relaxing allergy-free atmosphere around you always. 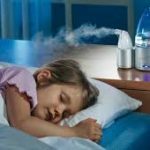 With latest technology and models coming in the market these days, using diffusers (like ultrasonic cool mist diffuser) at home has become completely safe for asthmatics. However you should know about few dangers of essential oil diffusers, which are commonly seen when people do not use these devices with proper care and knowledge. First of all, using diffuser for diffusing essential oil around children and pets should be completely avoided. If at all needed, care that you use very less quantity of diluted oil for babies and animals as they can hardly tolerate the amount which adults can tolerate.